The origin of Golf, that most wonderful and frustrating of sports, is very much tied to Scotland. Popular among royalty, golf was not a game of the people in its early days. However, it truly has become a real part of the identity both Gaelic Scotland and Ireland. Indeed the three places with the highest number of golf courses per capita in the northern hemisphere, are unsurprisingly, Scotland, Ireland and Northern Ireland. When you have read our Scottish golf history below, make sure to check out our Golf History Trivia and Golf Facts page for lots of interesting tidbits. While some may claim that the game goes back to Roman times, Scottish Golf History marks the beginning of the modern game. Scotland is considered the birthplace of golf and the game has been played there from the 15th Century. The sport began in the East of Scotland around the Kingdom of Fife. Players hit pebbles or small stones with a modified stick around a natural course of fields and rabbit burrows. Golf seemed to have rapidly grown in popularity because Scottish King James II was forced to take the drastic measure of banning both golf and soccer in 1457. King James wanted to encourage military personnel to concentrate on archery to keep Scotland protected from English attack. People seemed to pay the ban little heed and in 1502 the ban was got rid of. King James IV actually started playing around that time. Its popularity with royalty made the sport fashionable and it grew quickly. It also developed quickly in England through King Charles I patronage. When a person considers the origin of golf, the club at St Andrew’s always comes to mind. Golf may have been played at St Andrews’ in some form, from the mid 16th Century but it was not the first golf club. It was 'The Gentlemen Golfers of Leith' who established the first golf club in 1754. The 'St Andrews Society of Golfers' was not formed till 1754, exactly ten years later. But it is St Andrew’s which is credited with the development of stroke play in 1759. St Andrew's also built the first 18 hole course which became the standard number of holes for all courses which followed. Scottish Golf History marks the date when St Andrew’s became known as the ‘Royal and Ancient’ as 1834. Its much loved clubhouse was built some 20 years later. 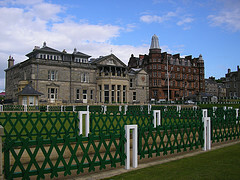 St Andrew’s fame is attributed to the quality of its golf course, its clarification and publication of rules and the Royal support which has enabled it to do a good job of promoting the game. In the 1800's, the sport was certainly not a game of the ordinary people. The use of handcrafted equipment made it expensive. Gradually, an American influence helped the sport develop. 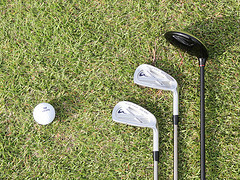 Perimmon and hickory were imported from the USA to make club heads and shafts respectively. This helped reduce cost somewhat. Britain took the the sport to other countries in its Empire and the sport went International. First it spread from Scotland to England but the first three golf courses outside of Britain were all in India and built between 1820 and 1842. The first club in the USA was established at St Andrews' of New York, in 1888 though some argue that the South Carolina Golf Club in Charlestown was built earlier in 1786. 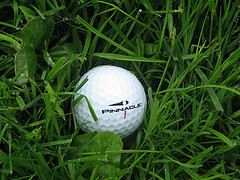 In 1894, the United States Golf Association was established and by 1900 there were over 1000 golf courses in the States. You will love our Golf History Trivia and Golf Facts page. Make sure to have a look. 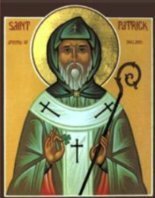 If you would like to learn more about sports with Gaelic or Celtic origins, you will be interested in our Traditional Irish Sports page.